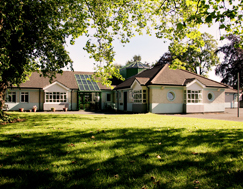 Dunfillan is a day hospital which offers a number of places for young people experiencing complex mental health difficulties. We offer intensive structured clinical programmes, to assist in alleviating these difficulties and in supporting a smooth transition back to your local service. Question: So why am I being referred to the Day Hospital? In general reasons for referral to the Day Hospital are for specific purposes, these include getting a clearer understanding of what’s happening for you. So to rule in or rule out a mental health concern, for example an anxiety disorder, a mood disorder, how you relate with similar age peers and concentration difficulties . It’s also about working with you and your family to learn new ways of coping so not to maintain certain negative cycles of behaviour. Your time at the Day Hospital can provide clarity for young people and their families and information in relation to a diagnosis is shared with your family and yourself. Information on diagnosis and potential other support services can be given. Question: What if I don’t want to go? Some young people are put off by the idea of a ‘group programme’. Basically what this means is that staff share their experience of helping skills with you alongside other similar age young people. This means that if you are having trouble coping with your emotions, feeling anxious most of the time, staff will teach the group how to cope. It’s important to know that you are not expected to share very personal information with the other young people attending. The group numbers are small so it’s less scary than bigger groups. We understand that sometimes our anxieties and uncertainties of what to expect can sometimes mean that you become overwhelmed and afraid to try. Question: Who will I met there? Professionals: The Day Hospital team is comprised of different mental health professionals, namely Psychiatrists, Mental Health Nurses, Speech and Language Therapist, Occupational Therapist, Social Worker and a Teacher and an Administrator. 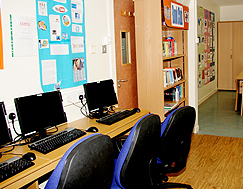 Other young people: The Day Hospital accommodates secondary school young people aged 12-18 .We do our best to protect your confidentiality and so to reduce the likelihood that others from your school attend. None of the other young people attending are aware of why you are attending and we don’t advocate that you share private information or exchange personal details so that everyone feels safe and privacy respected. There are other things that you can still talk about though! It’s important that you make the best use of your time here and be as involved as much as possible. Question: What exactly will I do there? 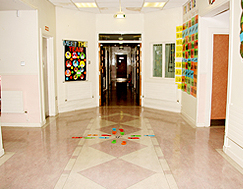 The 3 hours you attend each day will be divided among individual time with staff, a group and possibly an activity. 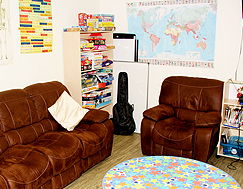 We will work on things like emotional regulation skills, distress tolerance skills and anger management skills. Question: What are the limits of the Day Hospital? Question: When will I leave? Generally young people stay for 6 weeks in total. However this can be shorter depending on individual needs. When you are finished in the Day Hospital you may return to your Outpatient team, you may be discharged from the Lucena service this again depends on individual circumstances.